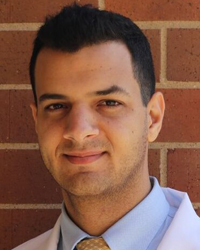 Yazeed Ibrahim is a third year medical student at Des Moines University where he cofounded the school’s Student PSR chapter. He received a Bachelor of Science in Biochemistry & Molecular Biology at the University of California, Irvine and Master of Science in Global Medicine at the University of Southern California’s Keck School of Medicine. Yazeed aspires to continue his advocacy for social and environmental justice as a future physician and global health scientist. Yazeed will serve as the co-chair of the Emerging Leaders Council (ELC), and the student representative to the Security/Nuclear Weapons Abolition National Committee.